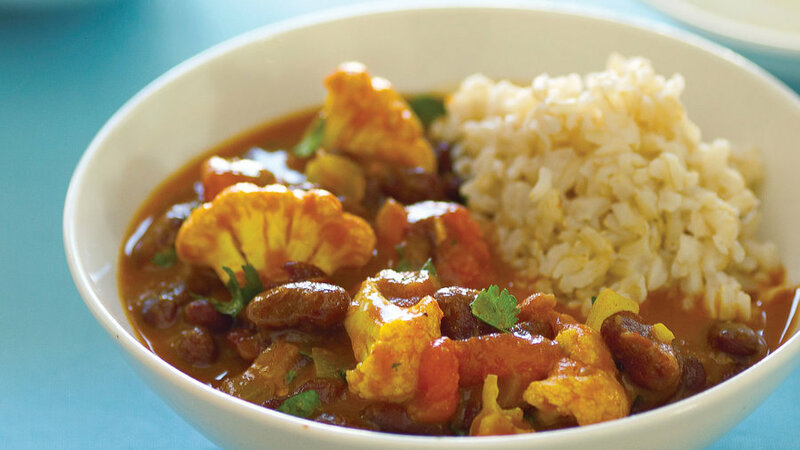 It’s not just the depth of flavor that makes this curry a winner, but also the way it lends itself to improvisation. 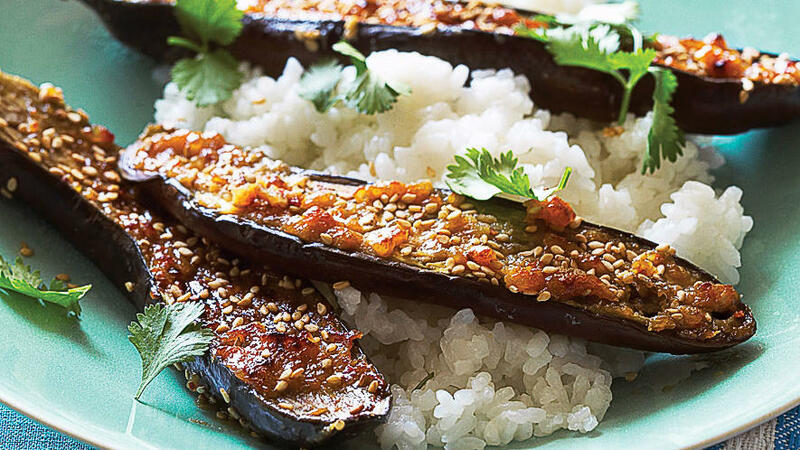 Once you get the proportions down, you can change up the main ingredients; try eggplant or tofu instead of winter squash, and toasted almonds instead of cashews. 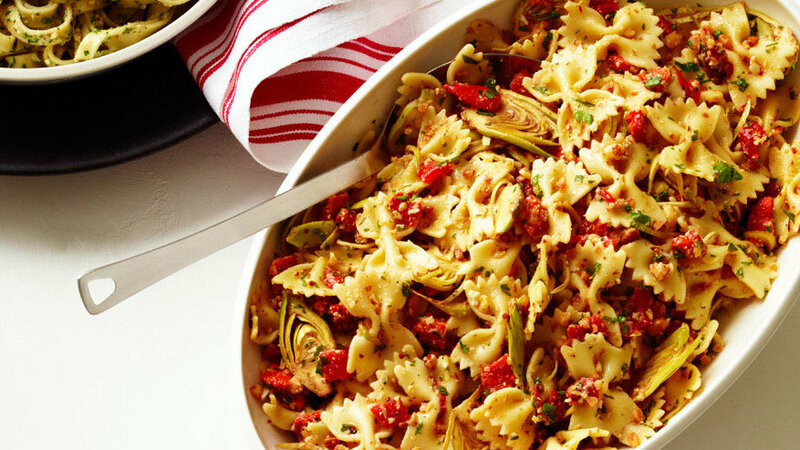 Ground almonds take the place of pasta's usual parmesan. 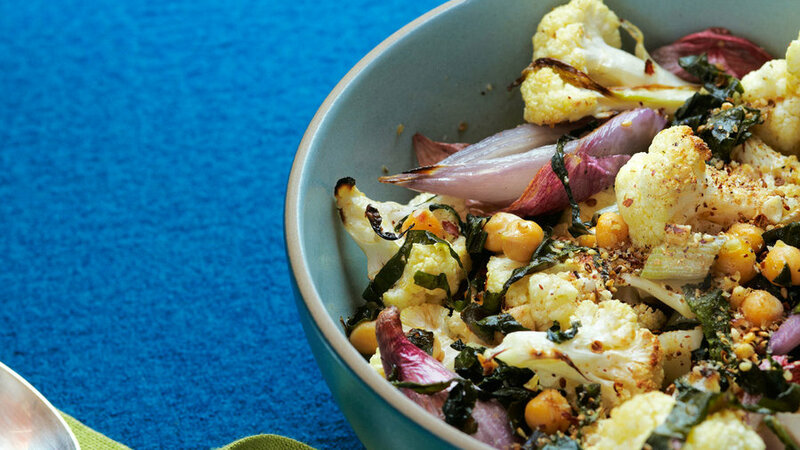 The dish would also be excellent made with roasted hazelnuts or walnuts. 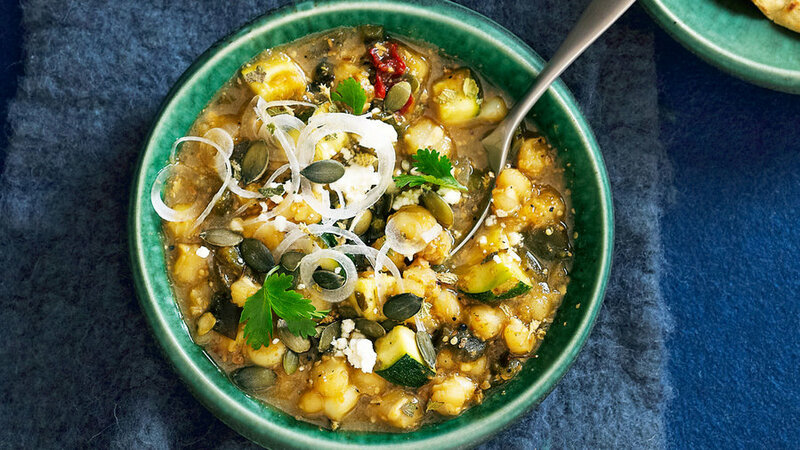 We re-imagined the usual pork-based posole and turned it into a celebration of hearty vegetables, toasted seeds, and Mexican seasonings. For a vegan version, just omit the final sprinkle of cotija cheese. 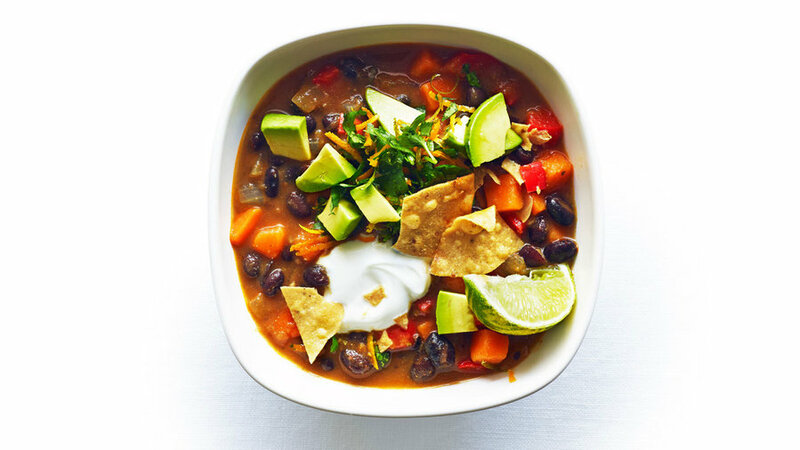 Earthy sweet potatoes add depth to this vegetarian chili. New Mexico chile powder is fruity and mild, so don’t be scared off by the generous amount called for here (but feel free to swap in any other kind of chile powder you have on hand—just use less of it). And to make the dish vegan, just omit the dollop of sour cream. 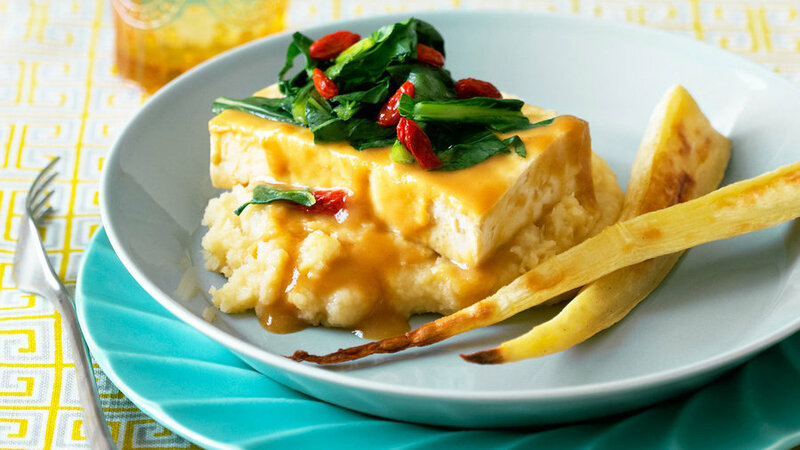 In this chef-inspired dish, parsnip purée and spears of roasted parsnips accent tofu simmered briefly in a complex-flavored glaze. You won’t believe how much flavor this dish packs in for something that takes only 20 minutes to make. It’s light, so it may serve only 2 if you’re hungry. 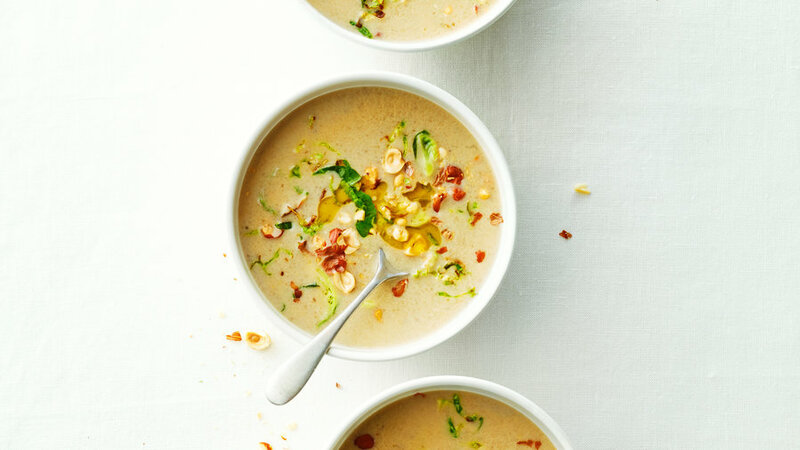 This hearty yet elegant soup contrasts the sweetness of coconut milk and hazelnuts with earthy vegetables. 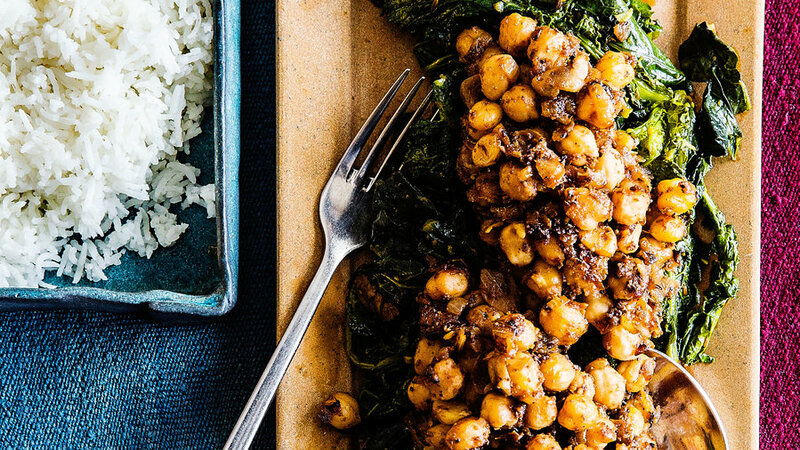 If you stock your pantry with tamarind paste (made from the sweet-sour fruit by the same name), a few spices, and canned chickpeas, this tasty dish makes an excellent last-minute meal, as it comes together in only 30 minutes. This gently spicy dish uses a North Indian technique called tadka or chaunk: seasonings are sizzled in hot oil or clarified butter, then swirled into the lentils right before serving for a massive flavor boost. 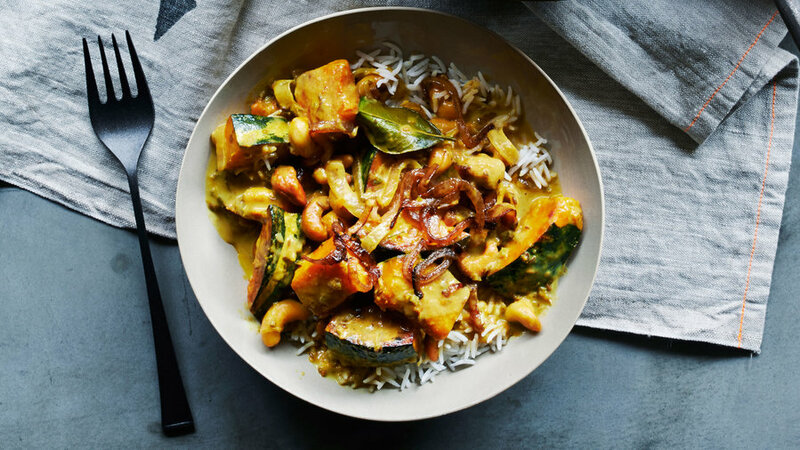 Flavorful ginger, garlic, and a medley of spices produce a robust heat, while also providing an array of health benefits. 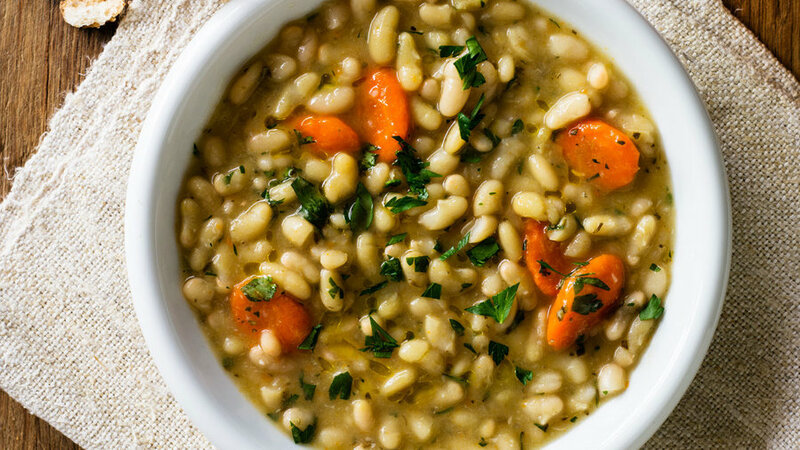 Try pairing with brown rice and a dollop of yogurt to cool things down. 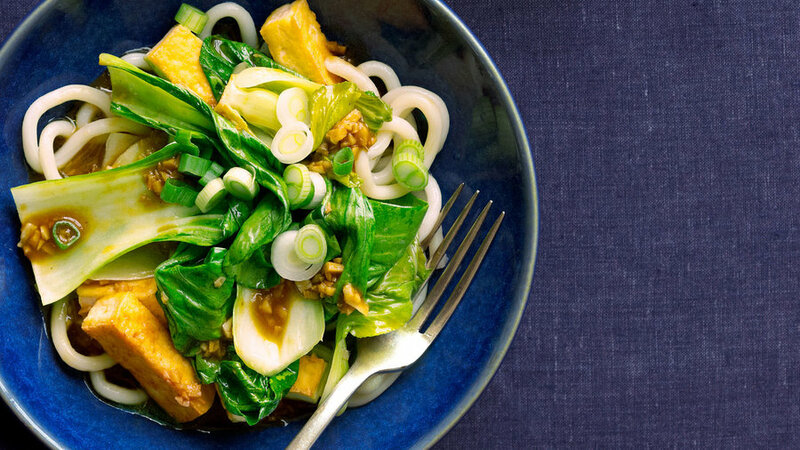 Oyster sauce adds wonderful 'umami' to this Asian-inspired dish, and can be found in the ethnic foods aisle of most supermarkets. Serve over fluffy rice for a satisfying meal. 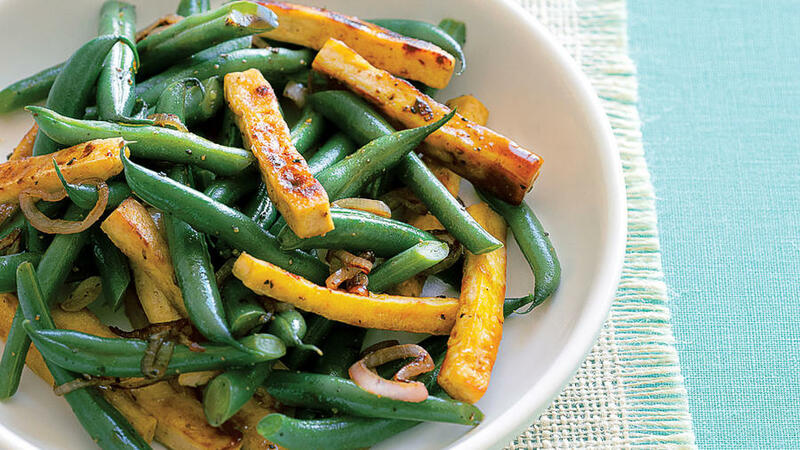 Cutting tofu into sticks about the same size as green beans gives this dish an elegant look; it also means lots of surface area for the tofu to get brown and flavorful as it cooks.